Premium quality blend of oil and wax for wooden furniture and flooring. 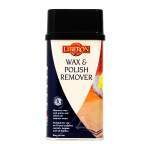 This is a premium quality oil and wax product which provides excellent protection to wooden furniture and flooring. It maintains the natural look of the wood, whilst creating a highly durable finish to protect both hard and soft woods against dirt, stains, water, heat and general wear and tear. It can used in humid areas such as kitchens and bathrooms. It can be applied to oiled or bare wood creating a lovely finish. Liberon Hard Wax Oil is a blend of premium quality oil and wax to give superior protection to wooden flooring and furniture. 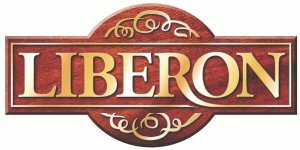 Maintaining the natural look of the wood, it forms a highly durable barrier on soft and hardwoods against water, stains and dirt. It is especially suited to humid environments such as kitchens and bathrooms, but can be used throughout the home and the product can be applied to bare wood or previously oiled wood. The matt or satin finish is washable with mild detergent and tools can be easily cleaned with water. 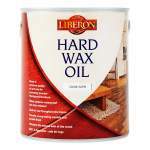 Hard Wax Oil is pleasant to use and does not have a strong odour. The wood must be bare, clean and dry. Varnished or painted wood: Remove all old varnish, paint or wax with stripper or sand the surface back to bare wood. Clean and remove all dust with a tack cloth. Waxed wood: Remove the wax with Wax and Polish Remover. Neutralise and leave to dry. Sand the surface back with 240 grit paper and remove all dust with a tack cloth. Oiled wood: Sand lightly with 240 grit paper and remove all dust with a tack cloth. 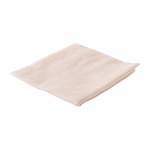 Bare wood: Clean, sand lightly with 240 grit paper and remove all dust with a tack cloth. Varnished floors: Sand once with 60 grit paper then with 120 grit paper to ensure the wood is bare and free from any finish. Finish by sanding with 240 grit paper and remove all dust with a tack cloth. Stir the contents of the tin well before use. 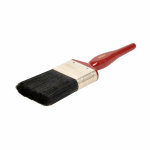 Apply the first coat thinly with a brush or roller and leave to dry for 8 hours. Then sand with 240 grit paper and remove all dust. Apply a second coat in the same way as the first and leave to dry for 24 hours. 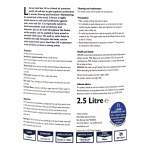 Whilst the product is drying, do not allow any textile fibres to come into contact with it. Important: The final finish can vary depending on the type of wood, especially with hardwoods. Always test product on a spare surface or inconspicuous area for colour, compatibility and end result. The treated surface can be washed with mild detergents. Wear suitable clothing and protective gloves. It is advisable to avoid allowing water to sit on the surface of the treated wood during the immediate 3 weeks after application. This will give the product time to fully cure. 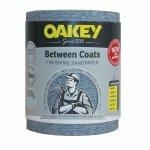 If a small area becomes worn, sand the area lightly with 240 grit paper and remove all dust. Then apply another coat of Hard Wax Oil to the area and leave to dry for 24 hours. Recommended temperature for application: minimum 12°C. Drying time may be increased in cooler conditions.